Solano County folks should contact D.L. Lang or Lisa Gutierrez-wilson to get a copy benefitting the Vallejo Peace Project. Bulk orders for organizations available. Everyone else, please order via Amazon.com. Diana Alden was forged from a California of the 70’s; hope, drugs, dysfunction and hyper intellect. Coming through the very best schools in the country, this autodidact dropped out of school when Prop 13 decimated her program. Living and loving in Vallejo, CA for near 18 years, she emerges from yet another Chrysalis for yet her iteration through words, having formerly been a lyricist. Well, isn’t it all the same? If not, be quiet and listen. My name is Olivia Wanna Anderson. I was born in Fairfield, California on October 24, 1993. I’m the 5th born out of 7 kids. I didn’t come in this world alone. My twin brother, Oliver Wendell Anderson, was right behind me. My grandmother raised my mother’s kids due to addictions. Vallejo is where I grew up. I’ve seen a lot and done a lot, but I’ve learned from my mistakes, so I try to be a positive force. Founder of Poetry by the Bay. Poetry by the Bay started in 2008 and quickly became a beacon of light for the city and surrounding community to come and share their work in a welcoming environment. Kyrah Ayers is a husband, father, avid runner, music lyric writer, producer and promoter of positive opportunities in his community and beyond. His first album ProfeticLyrics was released in 2008 under the alias Lyrical Profet. He’s currently working on his first book to be released soon. Daniel Badiali is a poet, spoken word performer, and visual artist. Poet, author, public speaker, and teacher, Dr. Genea S. Brice was raised and reared in Vallejo, CA. A graduate of Hogan High School, she went on to earn a Bachelor of Arts Degree in English Literature, a Master’s of Arts and a Doctorate in Theology. Her works have appeared in several exhibits and anthologies throughout the Bay Area and beyond, including The International Library of Poetry, The Poetry Box.com, and The Benicia First Tuesday Poets. She has published two books, and is a contributing author to a third. She has won numerous awards for outstanding achievement in poetry and literature, respectively. On July 28, 2015, Genea was named the First Poet Laureate of the City of Vallejo. This honor stands alone among the many significant achievements in her life. Hobbies include shoe shopping and going to the movies. moving to the Bay Area from Urbandale, Iowa. At the time I was only twenty-six years old, and I worked at a daycare for a couple years and was creatively miserable. Come to find out, living and going to school, in Pleasant Hill, CA would lead into adventures not unfamiliar to the past, but modern enough to be relatable for most adults today. In my nine years of California residency I have seen the better and the grim parts of establishing a voice and presence in the film, community service, professional or blue collar industries. My vision, voice and producing style has been fine crafted from experience behind the camera and in front. My goals and passions for the future are to continue producing media productions with the intent to inspire positive and global awareness for social change. These past years have been filled with incredible lows and from those near bottomless pits I discovered the truth to misery, pain, suffering, disease, and discomfort. Through films, television, theatre, music, community service and art, I hope to bring to light solutions and again, a social and positive change, which indirectly enhances our mental well-being. Lei Kim Sawyer Chavez is a teacher, librarian, mother and wife. She is obsessed with reading, Johnny Cash and space travel. Johanna Ely is the sixth poet laureate of Benicia, California. She spends much of her time in Vallejo, eating at her favorite restaurants, and listening to poetry and blues. on Bandcamp.com). He is a regular at Poetry in Notion, and his work has been published in the Benicia Herald. Amy Gioletti is an Oklahoma attorney and poet working for social justice and equality. She lives in Oklahoma City with her wife, Lauren. Cynaka Tatiana Harper AKA G.O.284 is a 34 year old. She deals with mental illness and fighting cancer. Her poems are mostly about what’s going on in her life. She also does requests sometimes. Grey is a singer-songwriter from El Reno, Oklahoma. Grey is the pseudonym of Greg Perkins. His music blends the alternative, psychedelic, progressive, and acoustic stylings of bands such as The Beatles, the Doors, Rush, Yes and Pink Floyd to create a unique and distinctive rock and pop sound. He has released the following CDs: Booze & Psychedelics, Through Time, Dark Doorway, Inquire Within, Ice World, Words & Music, Anamnesis, Rock & Pop, Colours, Faded Colours I, Faded Colours II, and these now out-of-print recordings: Grey’s Christmas Memories, Live at Pegasys, and Acoustic Grey. He owns and operates Grey Havens Studio in Enid, Oklahoma. Morgan Hannigan is a long time Vallejoan passionate about his cat, his loved ones, and music. He “works” and “volunteers” almost as much as his mother taught him to, often accompanied and always supported by his love, Natalie. Born Travis Clement Jackson, Jr. in Monterey, California, raised in Vallejo California. At Highland elementary school he played lead in Twas the Night Before Christmas and sang a few months in youth choir at Good Samaritan Baptist Church in Vallejo, California. His first poem was happiness to his mother. Played Lanyard Bellamy in a play called Tom Sawyer a Broadway musical at Fetterly Theatre in Vallejo. A member of Poetry by the Bay since 2008, his trademark is positive and inspirational poetry. Kathleen, born in central Louisiana, has lived most of her life in Vallejo. She is a mystic, an artist, a seeker, and a poet. She has been writing poetry since the 1970s. Her interests are folklore, and all things mystical, especially ancient Egypt and the feminine side of the divine. Jeffrey Kingman lives by the Napa River in Vallejo, California. He is the winner of the 2012 Revolution HouseFlash Fiction Contest, the winner of the Red Berry Editions 2015 Broadside Contest, a finalist in Island Verse’s 2017 Lily’s Pond Poetry Chapbook Prize, a finalist in the 2015 Blue Light Press Chapbook Competition, and he received honorable mention in the 2017 Quercus Review Press Fall Poetry Book Award. He has been published inPANK, Benicia First Tuesday Poets’ Anthology Light and Shadow, Squaw Valley Review, and others. Jeff has a Master’s degree in Music Composition and can be heard banging his drums in a band called O Happy Dagger. Chuck Lamplighter is a circus clown, secular priest and confidence man lurking in underground caverns but pulling strings from high above. This is his first and only submission, because he controls everything. D.L. Lang was born to a German mother and an American father. Her writings are a blend of memory, history, imagination, reality, politics, and spirituality. She was deeply influenced by music that was well before her time due to its idealism. She is a proud Reform Jew and owes her start in spoken word performance to her synagogue whose musicians rekindled her artistic spark after many years. D.L. Lang is the current Poet Laureate of Vallejo, California. She is the author of ten books, and one spoken word album. Her poems have been published in the Benicia Herald, Jewish Journal, Poets Are Heroes Magazine, the Benicia First Tuesday Poets anthology Light & Shadow, and in A Poet’s Siddur: Friday Evening Liturgy through the Eyes of Poets. Her poem “Is” was recently accepted into the Marin Poetry Center’s member anthology for 2018. Lang has been a featured act at several local events including the Vallejo Man March, Unity Day, Solidarity with Charlottesville, Vallejo’s Families Belong Together rally, and International Peace Day. She has also featured at My Word Open Mic in Berkeley, the Marin Poetry Center Traveling Show, the Benicia First Tuesday Poets, and Rosanna’s in Benicia. She has hosted and organized poetry events at the JFK Library in Vallejo, CA. She is also a regular at Poetry by the Bay since 2015 and lead the Poetry in Notion poetry circle. She has won ribbons and rosettes at the Alameda, Marin, San Mateo, and Solano County Fairs. Her poems have been transformed into songs, liturgy, and used as a means to advocate for causes. She served as a judge for the Solano County Poetry Out Loud competition, and for the JFK Library’s Write On! Teen Poetry Contest. She has also taught self-publishing to both Poetry in Notion and Benicia First Tuesday Poets. Verses, Voices and Visions of Vallejo is her poet laureate project. Lady-D is universal artist: a fashion model, actress, author, business owner, site director, and poetess. She has modeled for B/M fashion agency in 1999, performed in a local play ‘You are not Alone’ in 2015, and is the author of Happy the Hitchhiking Praying Mantis which was published by Savannah’s Safe House in 2016, and is available on Amazon.com and other online retailers. She holds a Bachelors of Liberal Arts from University of Missouri, and an MBA from Touro University. She is also a Certified Fitness Trainer with ISSA. Lee Lee is a 3 time National Poetry Award nominee, author of the poetry book Untamed Pen and the spoken word album Freaky Tales. She is a regular performer at Poetry by the Bay, and her poetry has taken her to feature all over the country. She has an ongoing collection of T-shirts that makes her a possible candidate for Guinness world records. Born and raised in California, LeeLee can spyt in every genre and has also guest hosted many open mics. Lucinda Lees lives in Vallejo with her wife, Lisa, their two dogs, and some number of chickens. She is an East coast transplant to California who has made the Bay Area her home since 1997. With both a BA in Fine Art from UC Berkeley, and a MS in Nursing from UCSF, she has wide ranging interests and has found joy and passion working as a Registered Nurse. Writing is a life long pursuit. Aqueila M. Lewis is a multi-talented, award-winning Bay Area Native well-versed in composing, singing, modeling, poetry/spoken word, and journalism. She has performed throughout the United States, Europe, and Japan. Her work has been published in numerous magazines, newspapers, and anthologies including: Sistah’s With Ink Voices, Women in the Feminine: Stepping into Our Shoes, and Standing Strong: Japantown and Fillmore. She also most recently published a book of poetry, Stop Hurting and Dance, a collection stories of overcoming fear, oppression, gentrification, and police brutality; she honors what it means to live with resilience, love and prosperity. As a former Writers-in-Residence for Liminal, a feminist & womanist writing event space, she created workshops and circles open to girls, women and elders focused on issues in relation to social justice and community. She formerly was a radio personality on 94.1 FM KPFA and she currently holds the titles of Ms. Oakland Plus America 2014, SF Raw Performing Artist of the Year 2015, and was an Oakland Voices- KALW Community Journalist awardee in 2016 and most recently won a Greater Bay Area Journalism Award in 2017. I am a poet by nature. I think poetically, in shapes, colors, images, and creating plays on words. I have always been this way writing stores, poems, making art as a child. It was encouraged by my parents who were artists, but not so loved by some teachers and professors, and I have always strived to fit in where, perhaps, I didn’t belong. Such a rough and tumble journey is many a creative thinker’s plight. This year, I decided, phooey! I will start enjoying life and do the things I love and have always liked and been good at. This is my beginning. 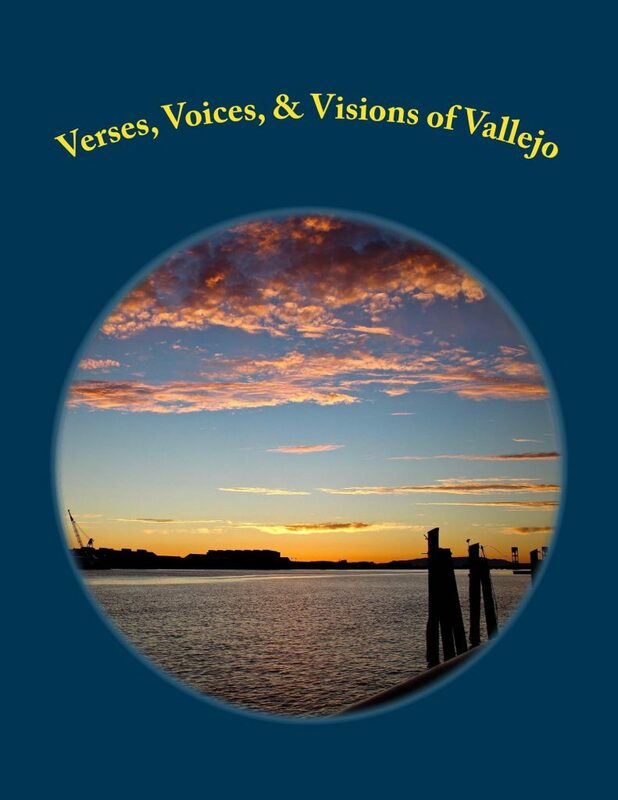 Even though I am an Benician, I am honored to be allowed to be included in the Vallejo anthology. I have chosen poems that are of a personal nature. Careers, maybe not in order and certainly overlapping, person, woman, daughter, artist, writer, wife, lover, gal friend, poet, teacher, archaeologist, environmental crusader, healer, life student. Kelliane Parker works in a hard tech start up at Lawrence Berkeley National Lab, and teaches Beauty Product Merchandise and Marketing as well as Fashion Public Relations at the Academy of Art University. She and her partner, Poet E Spoken, are co-hosts of My Word Open Mic at Cafe Leila in Berkeley. Kelliane is a life-long activist for gender equity, fighting global poverty and an outspoken voice for survivors of sexual assault. More recently, she has been working to de-stigmatize mental illness and disorders. For more information go to www.mywordopenmic.com. Poetic Old Soul is an author, content creator (via YouTube), poet & spoken word artist; she has been writing poetry for over 17 years, and has two best selling poetry books, “Poetic Like Me” & “A Divine Love High”; a 3rd poetry book is in the works. In the past, she has shared poetry in the Bay Area, including Poetry by the Bay, The Oakland Poetry Slam & Open Mic, Berkeley Poetry Slam, Life Sentence, and former Vallejo’s poetry cafe, Listen & Be Heard, as well as Black Lesbian retreats via Sistahfest, BLU & the NIA Gathering. 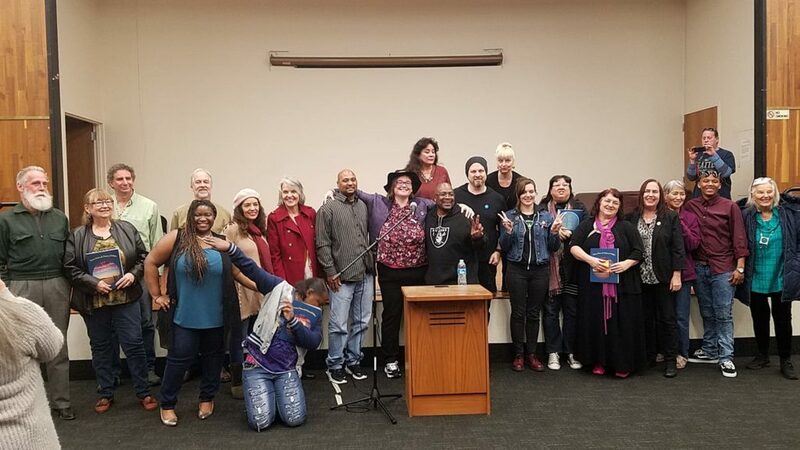 In late 2017, Poetic Old Soul was one of the 1st features for Queer Words in Vallejo, CA. The Bay Area native has dibbled- dabbled into slam poetry, but Poetic Old Soul’s heart has always been the open mic, where there’s no competition, judgment nor pressure, “It’s where I feel comfortable & right at home.” Poetic Old Soul’s spoken word & Raw & Real energy can be found on YouTube, Instagram & Twitter. Carol Pearlman is a poet who writes prose. Her favorite thing is letter writing. Put a gun to her head, she says, and she can write anything. Her favorite poet is Arthur Rimbaud, and she also loves Homer. Like them, she spent her life traveling, learning other cultures, and living out her wildest dreams. A doting grandma, born and bred in Brooklyn, a self-described fish-out-of-water wherever she goes, she has no favorite place on earth, and is always looking for home. She’s had to pick herself up and start over soooo many times, and wants us to know it keeps getting harder. She agrees with Bette Davis who said, “old age is not for sissies.” Her poetry appears at THELADYUPSTAIRS.NET, and her memoir, FLATBUSH PRINCESS, is available on Amazon. Please buy it. I am the Seventh child of the Seventh child born on the Seventh month born in a small farm community of Burntcorn in the city of Monroeville, Alabama. Monroeville is the city that gave us the great author Harper Lee of “To Kill a Mockingbird” and Truman Capote and also Marva Collins to name a few!!! Graduated from Monroe County High School in 1981 where upon my graduation I immediately applied for and was hired as Monroeville’s first African-American Radio Announcer at a Country Station. Moved out to California in 1983 where I graduated from Four Year Broadcasting School and subsequently also a one year school in Berkeley, Majoring in “Office Automation”. Married with five children, three girls and two boys. Currently the owner of two businesses: Richardson Tenant Finders and Honey Bee Landscaping. I presently reside in Benicia, a beautiful City with lots of potential but also needs lots of work!!! I love writing, especially writing Poetry. I am a published poet in the 2012 edition of Benicia First Tuesday Poetry Group. I love all people and I am a hopeless optimist in regards to the human predicament and condition. Very political and race conscious and very fair and just (I think). My favorite people from Earth is: My Mom and Dad, Dr. Martin Luther King Jr., James Baldwin, Jessie Owens, Maya Angelou, President Obama, Michael Moore, Ed Schultz, Senator Bernie Sanders of Vermont, the Kennedy Brothers, Bruce Hornesby, Nelson Mandela, Michael Jackson, Jessie Jackson, Wilma Rudolph, and Bishop Desmond Tutu. For some 30 years, as I led a life of increasing self-awareness, articulate with people of diversity, and capture small compositions in my mother-tongue “Kannada” for fun, I shared them in a cultural newsletter in the bay area, CA or my illustrious cousin journalist/film-writer Chi. Datta Raj in Bangalore, India. Often, we had a good laugh at the silliness of writing to matching rhymes! As a Solano County Library Foundation Board Member, I enjoy supporting true scholars, writers, literacy promoters and volunteers in any way I can including outreach, event assistance and social media posts and sharing. One of such events that I posted on my FB page “…NEVERTHELESS, SHE PERSISTED…” received more than 5,000 shares! I continue to support our local Poets Laureate, D.L. Lang and Genea Brice in Vallejo because they are both very gifted and inspiring scholars. Otherwise, being a widower, I just enjoy gardening and composting, jogging, networking and volunteering often in the community — where some of my ‘writing instincts’ get rebooted now and then! Vallejo poet Erika Snyder is a regular spoken word performer at Poetry by the Bay. She has also performed at at My Word Open Mic, OZCAT Radio and Poetry in Notion. She is married to fellow poet and performer Jeremy Snyder who is the new host for Poetry by the Bay. Inspiration strikes her often, including while commuting! Jeremy Snyder began writing poetry shortly after the death of his father at the age of 5. He has been writing his entire life, generally as a cathartic process for an objective view of self. Through Poetry by the Bay, Jeremy developed his voice on stage and began writing pieces specifically for public speaking. Jeremy can be found speaking all over the bay area along with his wife, Erika, who herself is a wonderful poet. With fifteen years of experience in education, Regina Sparrow has most currently combined her love of visual, verbal, and written communication to create children’s books that engage readers from all backgrounds. Sparrow is a PhD candidate at the California Institute of Integral Studies where she researches the purpose and function of art. She received her Master of Art in Teaching from Chapman University and holds two California Teaching Credentials to teach Pre-Kindergarten to college grade levels. Sparrow is experienced educating at- risk youth, and has developed an effective and efficient teaching method for long-term learning that harnesses art’s educational power by integrating mind-body activities based on current research. Tom Stanton is a Performance Poet and Multimedia Artist, who is primarily known as a California Surrealist. His works engage many mediums, and often emphasizes the aspects of ‘Performance’. He has produced books of poetry, and his paintings are included in many public, private, and museum collections. He lives and works in Benicia, California. Her guide to eco-friendly shopping “90% OFF Every Day! is available on Amazon and Kindle. Her poem “Broken” has been published by Women at Woodstock. Two poems are in the Autumn Issue of Scribe Base magazine. She is also the inventor of Get Your Happy! Cards. The cards are a method maintaining positivity and thinking happy thoughts. Cards can be used for personal affirmation, individual or group Happy readings, in small or large groups as an icebreaker or for team building. A Southern California native, Keith Thompson now calls Vallejo home. His major interests are music and writing yet he is an all around creative professional involved in a variety of multimedia projects. Keith was a featured poet on the JazzFunkHipHopPoetry project Sounds of Urban Life Soldiers. He volunteers with On the Fringe Visual and Performing Arts community theater program and served as resident DJ for Poetry by the Bay in Vallejo. Amber von Nagel is a writer, artist, lifelong North Bay resident, and proud Vallejoan. Her poem “Mare Island” was originally published in her 2013 book, Alexandria, a collection of poems about Californian lighthouses. Becky Bishop White arrived in Berkeley, California in 1970 at age 18, her troubled east coast childhood fading in life’s rearview mirror. “Once I hit the left coast, there was no going back!” Becky’s early influences include taking poetry courses from Thom Gunn and Peter Dale Scott at U.C. Berkeley, seeing Ntozake Shange perform any time she could, learning about prompted ‘flash’ writing from John Oliver Simon, and reading and hearing poetry by Billy Collins. Recently, she has been active in the vibrant writer and visual art communities of Vallejo and her hometown of Benicia, where she cannot help but be entranced, enchanted, and inspired by the huge amount of creative talent here. She lives with her husband, author James (Jim) White. Jeffrey Williams is a late blooming author, poet, and writer. He was born in Chicago, Illinois in 1962 and has resided in Vallejo, CA since 1966. He is a graduate of Vallejo Sr. High School. He later attended Contra Costa, Jr. College and Sonoma State University where he played baseball, studied psychology, sociology, philosophy, and creative writing. He is a lover of music of all genres. His hobbies include fishing and taking scenic walks, and he is a sports fan, routing for all Bay Area teams. In 2016 his debut poetry book Chronicles Heartfelt Poetry Dreams Blossoming to Reality: Dreams Deferred was published by Wavecloud. I’m autistic, so I’m not really good at writing about myself, which is mainly why I write about the world around me rather than focusing inwards. Everyone’s demons are in the same family. Lisa Gutierrez-Wilson has lived in Vallejo for over 60 years. Santa Clara on academic scholarship, graduating with a Bachelor of Science in social/psychology. She worked for a private local psychiatric facility for 4 years and over 30 years with Solano County in health, mental health, substance abuse services, ultimately retiring as a supervising deputy probation officer for the Vallejo office. She has danced jazz, tap, ballet and hip-hop since the age of five and performed with San Francisco based company, Bagong Diwa. She has taught and performed locally for over 40 years and is, most recently, responsible for Vallejo’s waterfront Halloween Thriller Flashmob and our annual Mad Hatter parade opener with Vallejo Peace Project dancers. 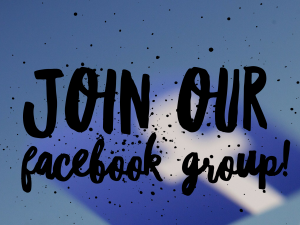 Her son, Phillip Wilson, founded Vallejo Peace Project August 2015 and she has continued to support and maintain it through active community involvement, especially advocating for social justice and daily inspirations promoting Peace on their Facebook page. She eats, breathes, walks and talks positive changes in her community ascertaining “if you are not part of the solution, then you are part of the problem”. And finally, she started The Annual Gathering of the Goddesses in 2009 to bring together all walks of women from ages 16-96 in her backyard to promote sisterhood and bonding in her community; this has evolved into somewhat of a “movement” from 45 women to 200 as recently as 2017. Her motto is “BE The Change”. I have been a Vallejo resident for over thirty years. I write memoir and do not consider myself a poet, but upon seeing that we now had a Poet Laureate, I wanted to be part of the celebration. I am happy to see the explosion of creative energy by so many in this wonderful town.